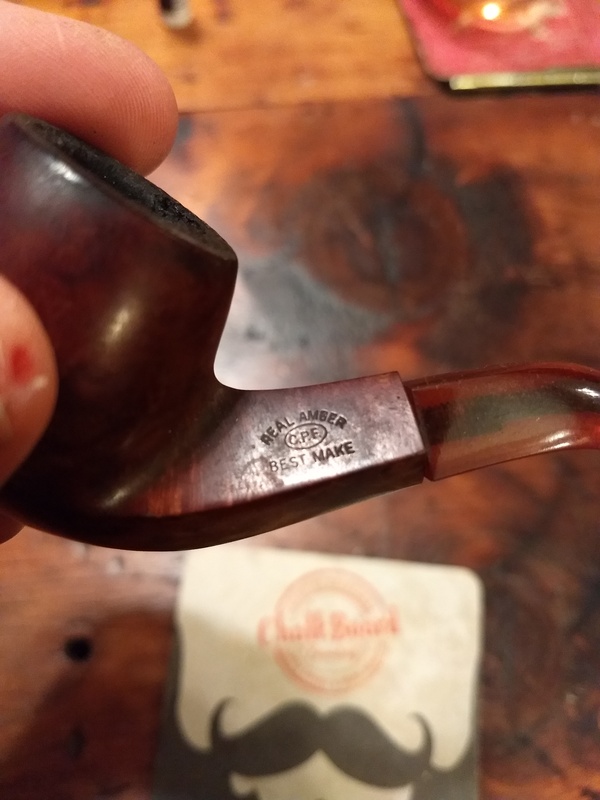 I bought this pipe for a few bucks at a local antique shop. Based on what I can find online, it can't be any newer than 1890. 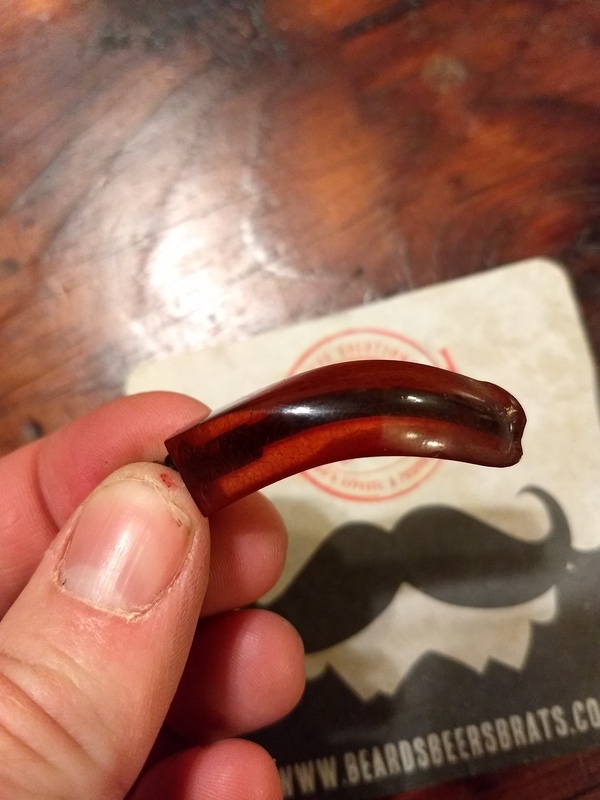 The stem is amber, and chipped. The stummel is in pretty good shape, but needs some help too. I'm planning to take this to Mr. Boswell this weekend to see what he can do for it. He's repaired older pipes for me before, but I fear he might turn me away since amber is so tough to deal with. So, I'm asking for the collective advice of of PSF. 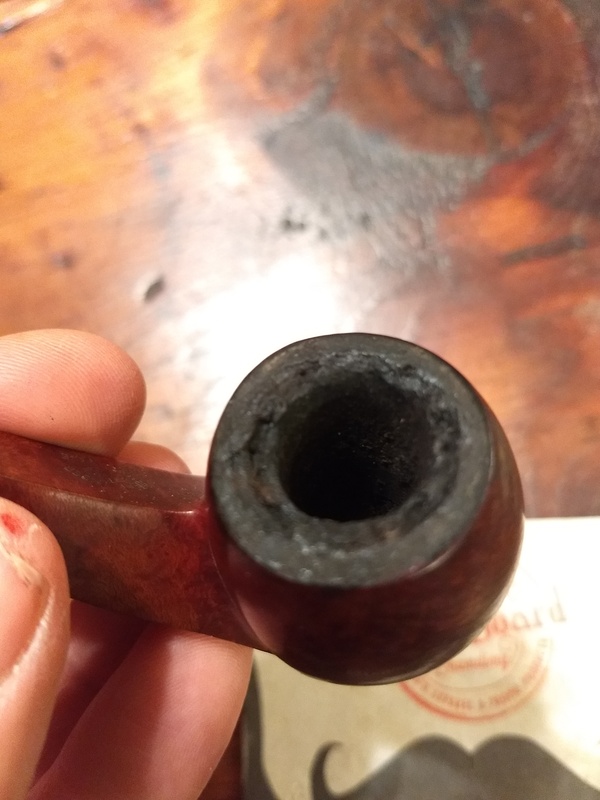 Can this pipe be fixed? 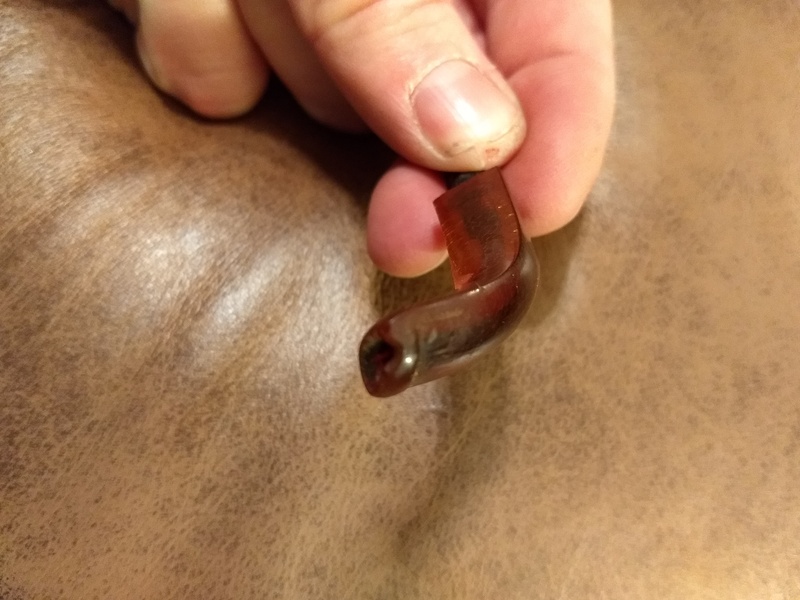 Am I limited to having a stem made for it, and keeping the amber in a box? I'd love to smoke this little guy. The stummel, definitely no question. The stem is actually in pretty good shape and there looks to be a fair amount of button there. 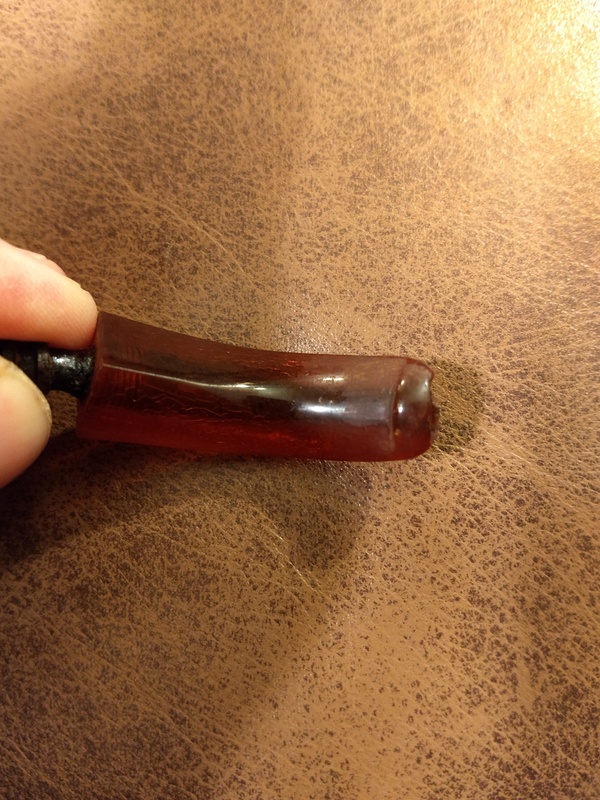 I've never worked with amber, but I'd think a competent pipe repairman may be able to reshape that button, and polish up the amber. That's a nice find! I hope you get it back up and running. I"ll +1 Houtz' response. 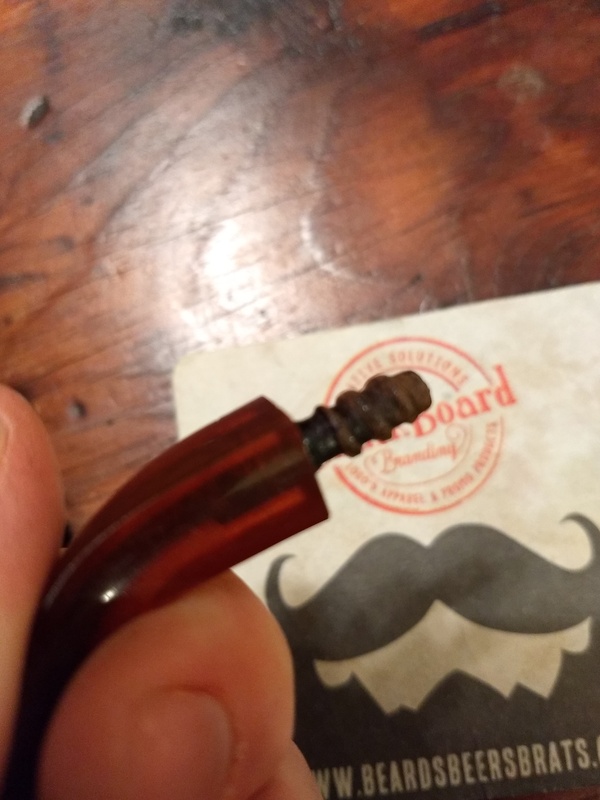 I thought you were going to show us a cracked shank or broken tenon for a second there, but this doesn't appear in too bad of shape at all. 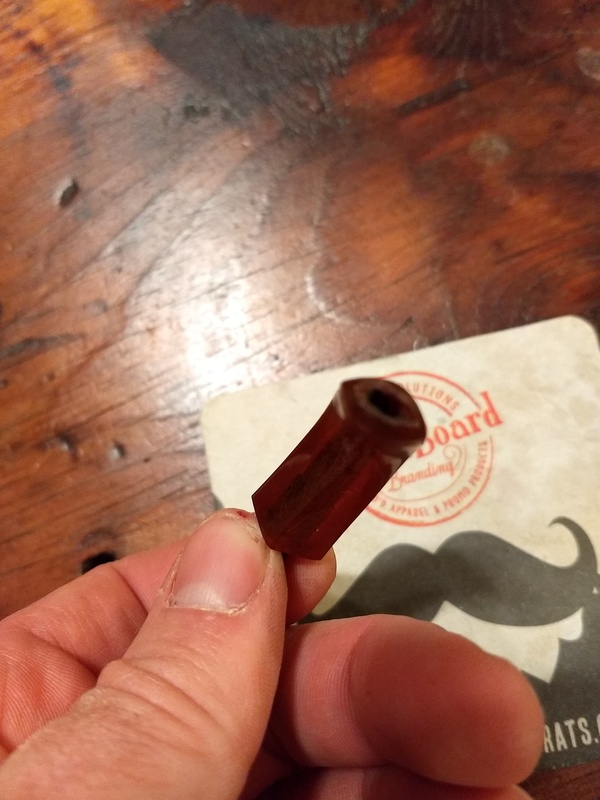 If you're not too embarrassed by a chipped stem, and if the tenon and mortise fits properly, I'd buff it and smoke it. 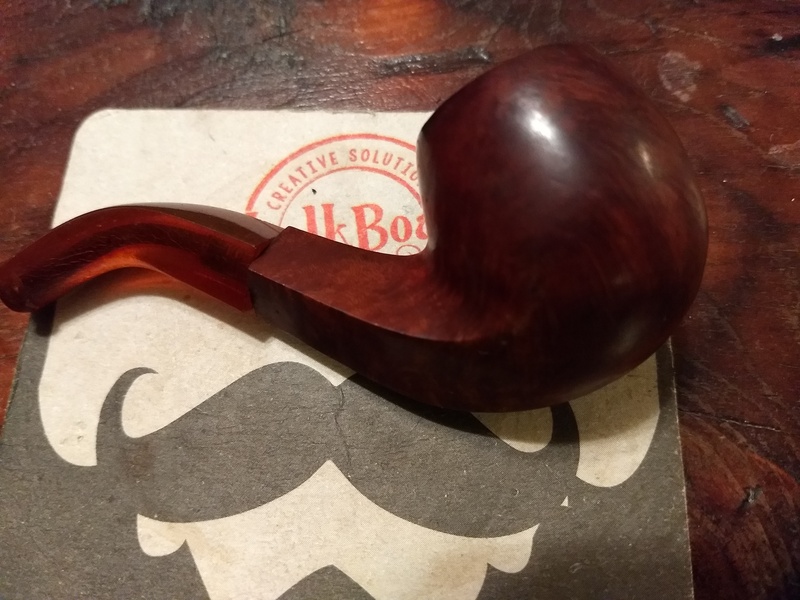 That shape is awesome and I think it should pretty up just fine. Nothing to add, except to say, "Wow!" Great find! That's what I though I was going to see as well. I think I would just get him to carefully buff the stem and then smoke the heck out of the pipe, after it's cleaned up of course. Nice score, congrats. Judging by the cake it must be a great smoker. The tenon looks to be bone, are the mortise threads cut directly into the wood or is there an insert? Does the stem line up or is it over/underclocked? 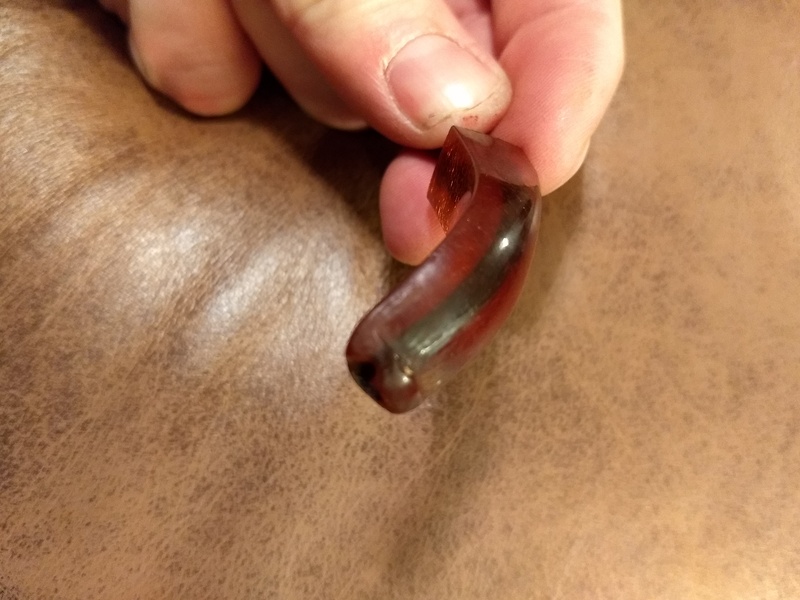 Amber is brittle, really brittle, if you ever clench you might want to consider having a new stem cut. That said, the damage can be patched but will still be prone to suffering the same again, especially if clenched.